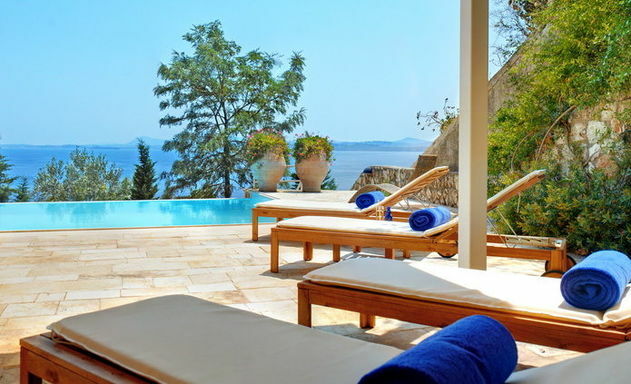 Villa Olympia commands one of the most stunning views on Corfu. 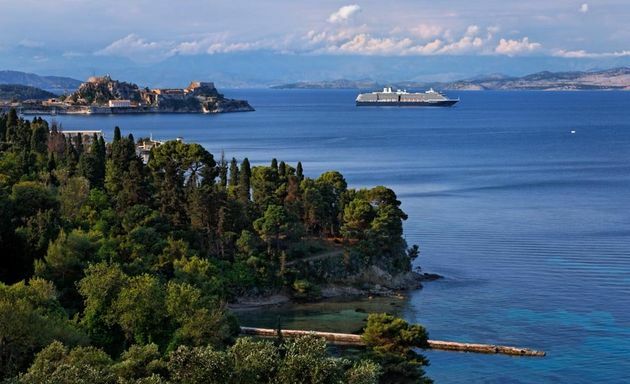 From the front terraces one looks out across the sea channel to the Greek mainland, the coastline and mountains of Albania and the fortress above Corfu town. 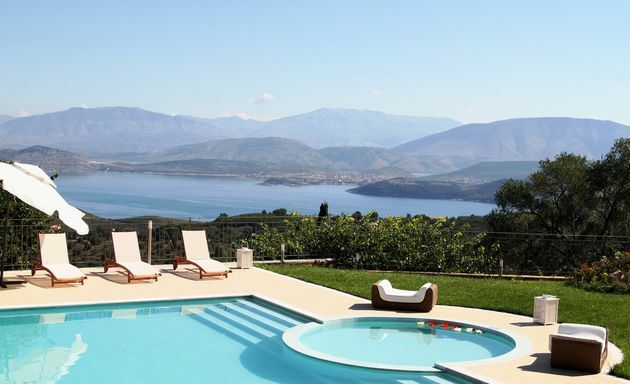 Villa Ostria is a swish, modern villa with large private grounds (10 acres) overlooking Avlaki beach. 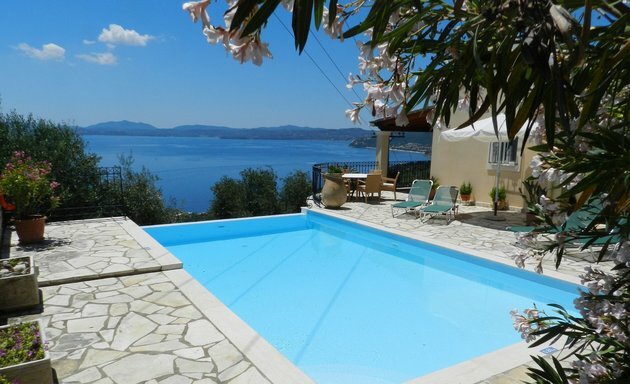 The village of Kassiopi is 500 metres away. 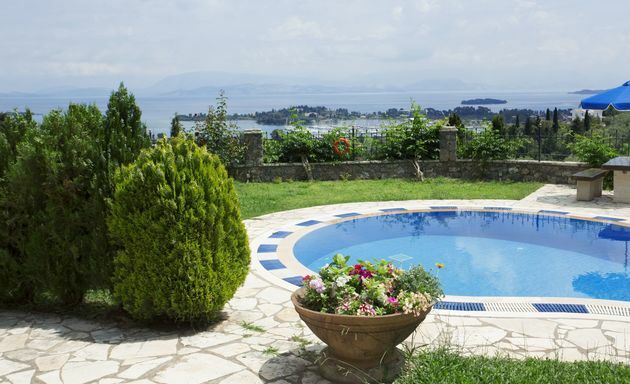 Villa Patrizia is one of three private villas set on a hillside terrace overlooking Corfu’s eastern coastline just 10 kilometres south of Corfu Town. 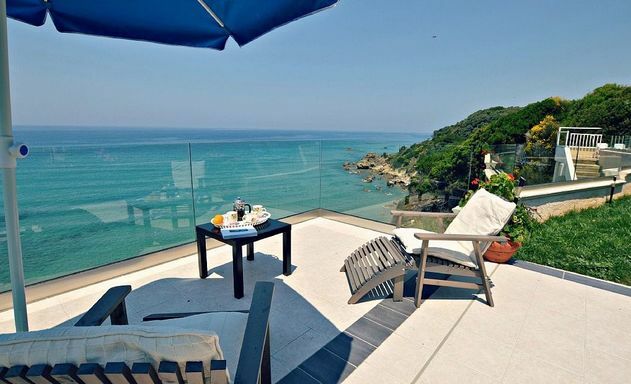 Villa Rosanna is just 70 metres away from the sea. A private path leads down to a small beach below. 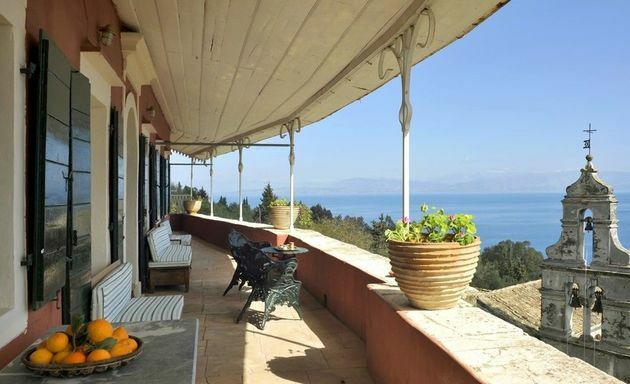 Villa Rosetta, above Nissaki Bay, has dramatic views across the sea to the coastline stretching between Albania and Greece. 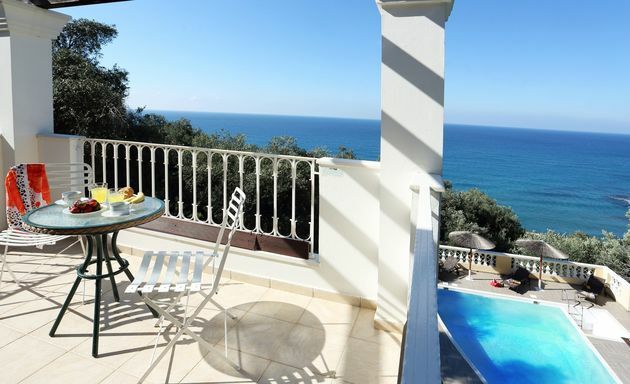 Starfish Villa has a peaceful and private location just above the sea; west coast sunsets; private path to a beach and a 3 minute walk to a waterfront taverna.